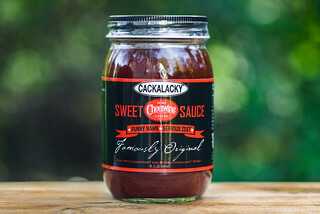 Delivering the great sweet, tangy, and fruity balance of the original Blues Hog with added depth by way of smoke and spice, Smokey Mountain Sauce has a whole lot of good going on. I thought I had all my Blues Hog bases covered. I fell in love with the original sauce, things got even better with the Tennessee Red, and it kept going strong with the Honey Mustard. 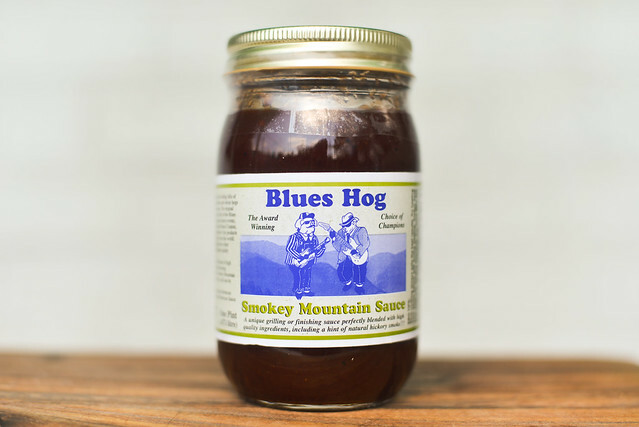 So I was a little surprised, and excited, to see a fourth Blues Hog sauce on my supermarket's self that I wasn't expecting—Blues Hog Smokey Mountain Sauce. This line comes from a man who knows a thing or two about barbecue, Bill Arnold. He was part of the competition team Blues Hog Cookers, and translated their successes on the circuit into a line of sauces that have become the backbone of a lot of competition barbecue—they have the right balance of sweetness and spice that judges, and barbecue fans alike, eat up. A sweet and smoky aroma fills the nose on first whiff of this sauce. That sugary base has a clear sweet tomato ketchup smell to it, with a Worcestershire depth. 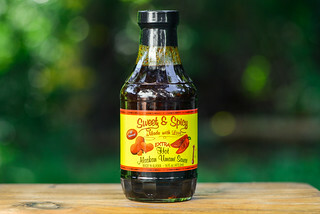 There's a vinegar tanginess that strikes a perfect balance with the sweetness and smokiness. Beyond that, there's hints of heat in there, with earthy peppers playing a discernible background role. This smooth, maroon sauce sits in the middle of the thickness scale. It's semi-transparent, which makes it easy to spot the plethora of spice that come in the way of red, white, and black spec throughout. It has a syrupy constancy that flows in a steady, slow stream off a suspended spoon. As the pour finishes in a few drips and leaves a medium coating left clinging to the spoon. This initial flavor is very much like the original Blues Hogs, super sweet and syrupy. The sugary start quickly gains depth, first by a touch of molasses, then fruity tomato, and finally a vinegar tang. All of these linger and mix together in a great balance as things start to grow more complex with a medium smokiness and then a barrage of spices. This includes garlic and onion, but its the peppers that are the real stars here. The mix of red and black pepper give the sauce an earthiness with just enough heat to tingle the tongue and stand out against everything else going on. This heat lingers, along with some tartness, once the sauce leaves the tongue, ending with a very pleasing tangy, smoky, and spicy aftertaste. The sauce coated the chicken leg in a very even layer, with just one brushing delivering a more than decent layer of sauce. Over indirect heat, the sauce baked down well, and then stayed put and had slight caramelization over direct heat. The color was an attractive dark red, and the taste didn't disappoint either. A lot of what was so good out of the jar remained after being cooked—the balance between sweet, fruity, tangy, and smoky continued to deliver. The smokiness did back down a bit, while the spices were pumped up, making a combo that was tailored to my particular palate that loves a light smoky heat. The sweetness was also amped up a bit, with molasses playing a bigger role to give the sugar a more complex flavor overall. What can I say, Blues Hog is batting four for four. All the previous sauces showed an understanding of the balance within complexity that a fantastic barbecue sauce should have. 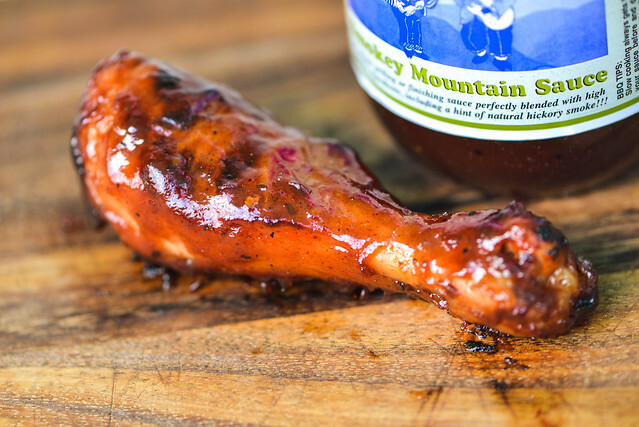 Smokey Mountain Sauce continues that tradition while delivering even more flavor by way of a well tamed liquid smoke and extra spices. There's a lot going on here, but it never tastes too challenging, making it great for any number of applications. It certainly gave my chicken leg an outstanding flavor, but I can imagine it would be even better on ribs. 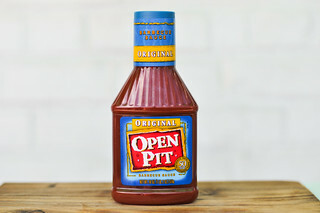 It's also strong enough to stand up to beef, making it a decent choice for burgers, hot links, brisket, and the like. 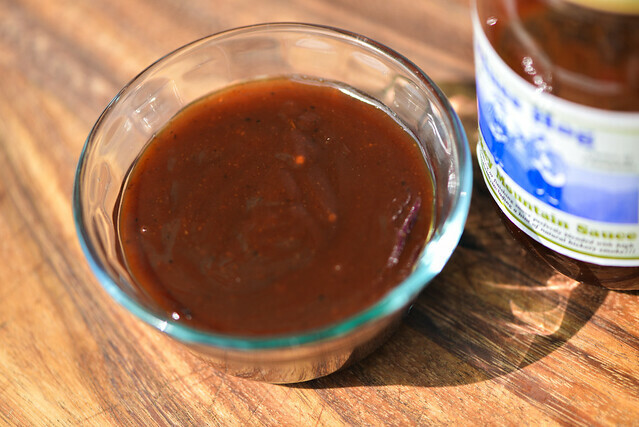 If you already know Blues Hog and would like that sweet and tangy sauce with a bit more heat and smoke, it's worth searching out this Smokey Mountain Sauce, I'm sure glad I found it. I am an American man, and I have decided to boycott American women. In a nutshell, American women are the most likely to cheat on you, to divorce you, to get fat, to steal half of your money in the divorce courts, don%u2019t know how to cook or clean, don%u2019t want to have children, etc. Therefore, what intelligent man would want to get involved with American women? I've been wanting to try this one but it hasn't ended up on the shelf next to the original and Tennessee red at Food City yet.